Supporting financial decisions, including Foreign Exchange Market (Forex) is recently realized more often by using multi-agent systems. On this market currencies are traded against one another in pairs. The quotations are in High Frequency Trading. The supporting decisions on Forex rely on provide, by a multi-agent system, as soon as possible advice on what position should be taken: long, short or none. This advice is given by different investment strategies based on agents running based on statistics, economics, mathematics or artificial intelligence methods. However, these strategies are not optimized in terms of HFT (the computational complexity of these strategies is too high and the signals for open/close positions are too late in many cases). 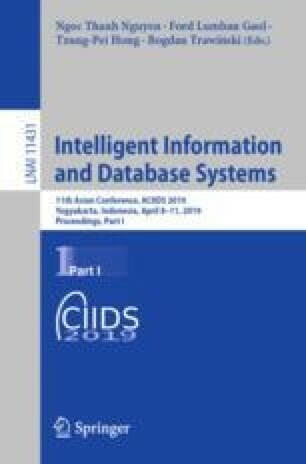 Due this fact, the main problem which appear concerns decreasing a computational complexity of the strategy applied in a multi-agent financial decisions support system. In our research we have assumed that for building HFT investment strategy in a-Trader system, the consensus methods are applied. In many cases determination a consensus is impossible to achieve in the required time using only a one-level determination method in which all of the incoming agents’ knowledge is processed at the same time. A decomposition of a task of determining a consensus into smaller subtasks and their parallelization can solve the mentioned problem. The aim of this paper is to develop a method for a multi-level consensus determining, in order to build a HFT investment strategy in a-Trader multi-agent system. This research was performed in the frame of the project “Business Data Mining A-Trader” realized in cooperation with 4-TUNE IT s.c. (http://4tune.pl) and project no. 4005/0011/17, “Smart University”, Nguyen Tat Thanh University, Vietnam.